In case you missed it over the weekend, be sure to check out the following op-ed from the Fayetteville Observer by N.C. Justice Center executive director Rick Glazier. The plea Glazier issues in the op-ed is rendered all the more important in light of the weekend events in Pittsburgh. Civility breeds civility and incivility breeds incivility in all aspects of our life. Campaigning and holding public office are no different. I ran in 16 primary and general elections for both the School Board and the N.C. House of Representatives and was honored to serve our community in both capacities from 1996-2015. In all of those elections, I never once ran a negative ad and, in only three mailers in one election, even mentioned the name of my opponent, focusing on their votes with which I respectfully disagreed. I did so because I always felt I should be elected based on what I stood for, my character, my abilities and not by degrading my opponent. I did so because I recognized I was but a very temporary occupant of the position I was holding, and far more important than my election, was the integrity of and public confidence in the office I held. I did so because at the end of the day, I needed to look in the mirror and feel I ran a campaign that respected and represented the honor and character of the people I was elected to serve. Unfortunately, I see campaigns again this election cycle demeaning the process, filling every media possible with disgusting, debasing, destructive ads. And, being positive on one side of a piece of a mailer, but talking smack on the other, hardly enhances public debate of policies and positions in an intelligent, informed and thoughtful manner — which is precisely what we look to and need from our leaders. Of course, campaigns do this because they believe negative campaigning works. To a degree they are right, if by “works” you mean winning an election. But holding public office is a public trust that goes far beyond winning elections — a contract between the office holder and the people who elected him or her. We breach that contract when we fail to campaign with dignity, or use the power of our office in a retaliatory or intimidating manner, because once that breach of trust occurs, you never get it back — with your constituents or your colleagues with whom you have to work while in office. It is campaigning tactics like we are receiving almost daily in our mailboxes that has led to the bitter and nonproductive partisanship we see now in Washington and Raleigh. But only we can break that cycle. Only we the people can stop empowering these tactics by voting, even outside our own party preference, for candidates who don’t lower public discourse into the gutter. Indeed, if we mean it when we say we hate negative campaigning, then now is our chance to prove it with our vote; otherwise it is just whining without meaning. Let’s together elect folks to office who talk about ideas! Let’s give rise to our better nature and selves. 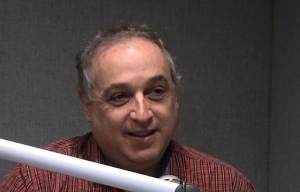 Rick Glazier is a former Cumberland County school board member and state representative. Previous PostNorth Carolina leaders condemn “horrific” Pittsburgh synagogue attackNext Post Education is the number one determinant of your success. That’s why I’m an #NCedVoter.